The ability to give surpasses the excitement of receiving! Matthew 1:21 - "She will give birth to a son, and you are to give him the name Jesus, because he will save his people from their sins." What an awesome gift God gave to the World? Jesus. We will not be silent. We will not be distracted. We will not lose focus on the mission God has given us. We're the Gen Y generation. We are passionate. We are bold. We are sometimes loud. We are enthusiastic. We have vision. We have dreams. We will continue fighting until the day of the Lord's return. We understand people in the past have tried things and failed. We want to try again. We understand that our culture has changed, so we must change. We are willing to try new things. We are willing to pay the price. We believe strongly in the second blessing of the Holy Spirit. No one will stray us from that belief. We understand that the Holy Spirit's power is greater than anything we have ever seen, and we believe Jesus wants to impart that power to us, when we ask. Some say we're arrogant and judgemental; but lets not confuse boldness and faith and passion with stupid unrighteousness. We need no longer to be a silent majority. There are many silent, fired up salvationists in our territory, that I believe need to take a stand for passion and vision, so that together we are sold out movement for the salvation of the world. One thing we can all be sure of, when it comes to the Gen Y's. We WILL NOT BE a SILENT GENERATION! 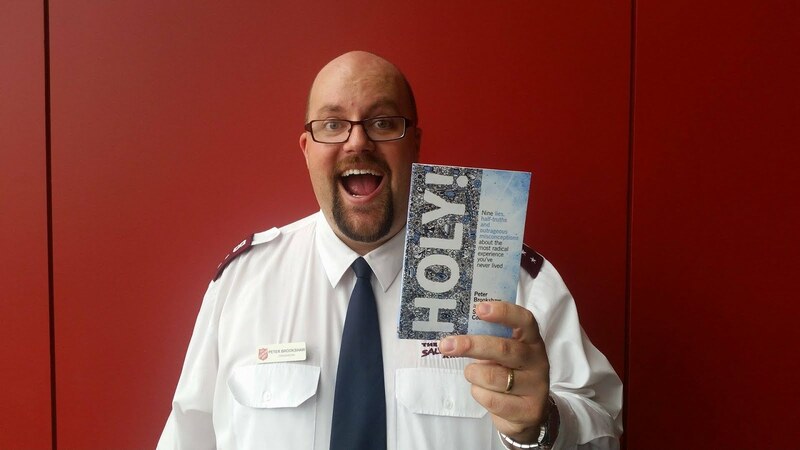 For the last 6 years Werribee Salvos have been on the lookout for a bigger property in order to maintain the steady growth of the church. Nothing was happening. Over 6 months ago a place came up, that we thought God might want us to have, but after a whole lot of prayer and paperwork, the franchise, 'Dimmeys' bought out this property. Back to the drawing board. What was God doing? Why wasn't his perfect Will happening?? Then we came upon a Reception Centre for sale (Called Silver Birches), and the wheels started to slowly turn towards this property. My biggest thanks goes out to our senior minister, Cpt. Kevin Lumb, for all the tireless work he has put into making this a reality. I understand others have put much work in, including DHQ and THQ staff, but I know Kev has spent many late nights filling out paperwork and submissions to make it happen, almost to the point of burning the candle to the ground! (Perserverence has paid off Kev, and this inspires us all). Why didn't we receive the first property from the Lord? He had a better plan for us. Praise God. Never give up on the vision God has placed on your heart, work at it with all your might, in the anointing of the Holy Spirit. One other thing: God gets all the glory. Do you want to be a part of a Jesus Revolution? You need momentum. Let me explain. In a close game of cricket, all of a sudden Shane Warne gets a wicket. That's great, but then something happens. The Aussies get excited, they start believing they can get another wicket. All the fielders are 'walking in with the bowler' and are now eager for another quick wicket. The other team soon loses yet another wicket. Why? The Aussies have momentum on their side. You can almost feel it in the air. When momentum is on your side, you believe for bigger things; the impossible now seems possible. Leaders. Build momentum. Don't take holidays when things are heating up. Grab a vision from the Holy Spirit, build a team that's united and passionate, and let the Spirit's momentum bring you to the future you always knew in your heart was possible. (Momentum is a Leader's Best Friend). I pray that the Lord will allow the Salvation Army to assist more and more into our communities, so that people are not left stranded and unassisted in following years. But praise God for the huge amount of blessing given to so many this Christmas. Are you Faithful, Available and Teachable? Are you radical and passionate about God, and growing his Kingdom? Are you willing to risk persecution in the church to reach people outside the church? Revolutionaries understand that to see God grow the Church, the solutions to the issues of people leaving the church need to be different to the solutions used for a previous generation. Teenagers of Australia are displeased with the Church, yet are open to experiences of spirituality and even God and Jesus. 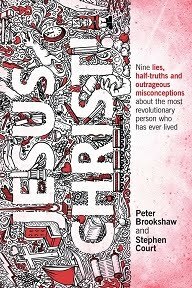 A Revolutionary needs to look and relook at biblical examples of the birth of the Christian church... The Christians were a movement. They were defined, not by their buildings, but by their unified vision. They were a mixed group of Christ-followers (with many varying theological viewpoints), but the apostles (revolutionaries!) continually shared the vision of taking the message of Jesus to those who had not even heard that name. Who will take the message of Jesus to the High-Schools? Who will take the message to the Shopping Centres? Who will take the message to Parliament? Who will take the message to the lonely? Revolutionaries live out the message of Jesus in these areas, and they take their bible and their passion for God and let the Holy Spirit transform the areas in which they live. Give up working for no reason. Give up going to school with no purpose. Give up trying to impress your friends. There's something bigger at stake here. God's waiting to bring a Revolution, and he's looking around to see, is there anyone here who has the making of a Revolutionary??? Hey everyone! Today, it was made official that Jo and I have been accepted into the Salvation Army training college for 2007. For two years we'll be living in the college on Royal Parade (Melbourne). 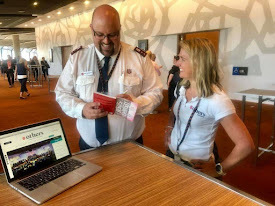 After those two years of study, spiritual development, prayer, etc, we'll be going whereever the Salvos send us... Maybe we'll plant a church that will be radical and change the face of Christianity in Australia? Thanks to everyone that's supported us through this fairly quick transition. The work at Werribee will continue til near the end of January and then we will have the big move into College. While I'm in College, I want to keep this site updated regularly. So if you want to read some informative, passionate, challenging blogs, then check out Revolution Earth occasionally. God knows the plans he has for you, plans to prosper you and not harm you, plans to make you successful! (Jeremiah 29:11). Bless you guys! 1 ‘In the year that King Uzziah died, I saw the Lord seated on a throne, high and exalted, and the train of his robe filled the temple. --> This was about 740 bc. Isaiah is seeing a vision of the presence of the Lord! --> Some would say they were covering their faces because they were unable to look into the beautiful and powerful glory of God. --> Have you heard people criticise the repetition of songs, such as singing over and over many times that God is Holy? I wonder whether when we're in Heaven, we'll be in awe of God and just find ourselves singing, 'Holy, Holy, Holy, Holy, Holy... is the Lord!' What will happen for those that criticise?? 4 At the sounds of their voices the doorposts and thresholds shook and the temple was filled with smoke. --> Is this a biblical refernce for a smoke machine?? --> Remember in Acts 4, when the disciples pray, the place shakes where they were praying. Ohh Lord, let our prayers be powerful and effective and shake the World in which we live. --> Look what happens when Isaiah is in the presence of God. He comes to a point of repentance. The sin in his life comes to the surface and he confesses his sin to the Lord. --> A live coal, is a very hot coal! (Write that down and tell your friends). --> We worship. We repent. Then the Lord asks, who will go for him, to fulfill his mission? There's no use just worshipping, we need to be available for Jesus to use us in mission. --> There's a cyclical process going on here. WORSHIP --> REPENTANCE --> MISSION .... back to --> WORSHIP --> REPENTANCE --> MISSION. --> Let us not give up meeting together for worship. Some in our churches have maybe forgotten that mission is only effective if we continually come into God's presence in Worship and always maintain a heart of Repentance. Lord we seek after your glory and majesty everyday, please forgive us for the wrongs we do in your sight, and Lord please make us powerfully effective to fulfil your mission of making disciples of all the World; in Jesus' name, AMEN! Tonight there was just three of us (Pete, Jo and Shaun), and we met up in the western suburbs for some prayer and outreach into the community. We read some things from the Bible, Isaiah chapter 58 and 61... The Holy Spirit was already moving, so we were excited to get out onto the town. Following that God encounter we went off to the main street in Altona and prayed over a 'pasta' shop that had recently had stories of sexual immorality and other things happen in the shop. So we prayed against those things in the name of Jesus, and then went home at about 1:30pm. It was a pretty good night, and God will bless those that step out in faith to achieve something for him. Just one thought. If Astronauts are sold out to searching the stars for life, how much more should Christians be passionate about a God who is bigger than even the largest of Galaxies? The issue here is faith. We live in a culture that says, seeing is believing, but God has always said that believing is seeing; faith brings sight. Today. Just believe. Just do it. Believe in the God of the Universe, and actually live your life sold out to searching after Him, the one who gives you life abundantly through Jesus. Does anybody know the power that exists within the Bible? If only those boys from Melbourne knew that within the words of the Bible lives are transformed, and people are set free from drugs, suicide, anger, and loads more. 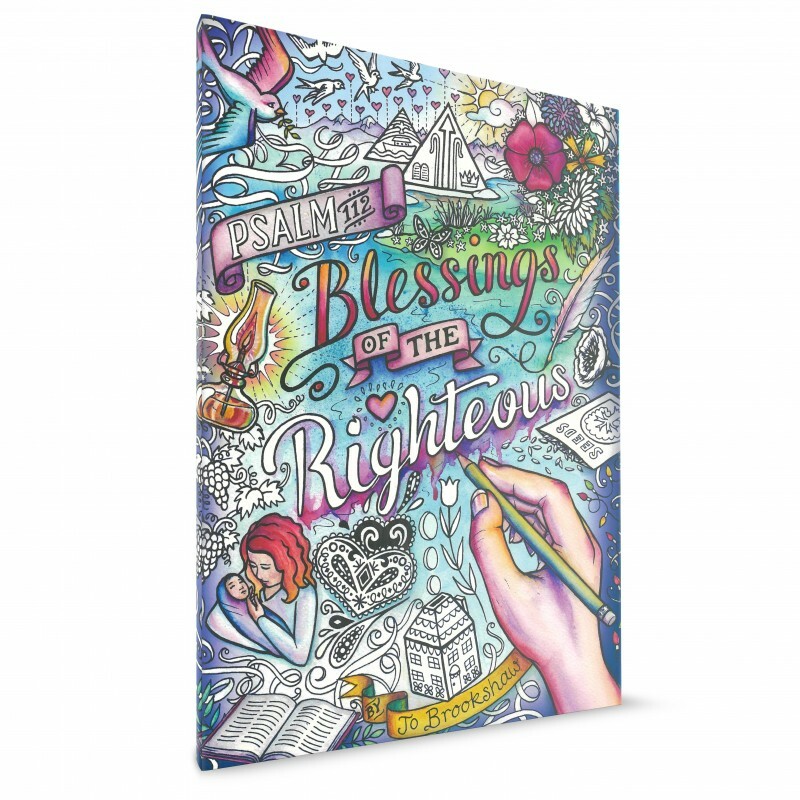 I always hear stories about the Bible transforming a life, maybe someone in a Hotel room with a Gideons Bible, or someone reads one on their shelf from when a Christian friend gave them one. 'All Scripture is God-breathed and is useful for teaching, rebuking, correcting and training in righteousness, so that we may be thoroughly equipped for every good work' (2 Timothy 3:16). The Bible is powerful, you better believe it. It's a Christian's road map and we would all be better off if we read some regularly. If we get into the Word, then the Word will get into us, and then there will be a Revolution. Bring it on Jesus! As a younger generation lives in what some label as 'postmodernism', to what extent do we need to hold onto modernist structures, that were functional/effective back in their days? How do we 'organise' our Christianity for this generation, so that all are seen as equal, yet some are in positions that require leadership? 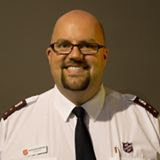 How do we allow there to be diversity (as opposed to the modernist viewpoint of uniformity), while still allowing God to grow the Salvation Army? How do we 'organise' a large (growing?) organisation, so that people are empowered and not controlled, yet still work within the Lord's boundaries? Are you with me? Interesting questions... I love the Salvation Army. I love it so much, that I will work hard for it to change, in order that a new generation of young people are involved and passionate about its cause. Ever completed a psychological test? I had to fill out one recently (a part of the recruitment process for Salvation Army Officership!) One of my potential development needs relates to being highly critical of the status quo and finding it difficult conforming to the rules. What a great benefit to know much about personality profiles and how to use them to influence people for the sake of the gospel of Jesus. Don't be naive, but learn and grow in order to be more effective for the Lord. Well, last night I caught up with a few mates. We spent a little time praying for each other and then we went off into the city of Melbourne at 11pm. A couple of the girls (Jo and Sarah) went off by themselves and found a drunk girl that needed some comfort. They ended up walking her all the way home to the Docklands, and along the way told her about the hope we have in Jesus! How cool! One more story! Jo and Sarah were standing outside Melbourne Central Station at 2am Saturday morning, and began talking to a guy. The guy was a 21 year old, who use to go to the Lutheran Church. The conversation takes off and Jo ends up sharing a history lesson on what the early Salvation Army is about. He seems intrigued, and Jo believes God used them to reignite a guy that had fallen away from the faith. For the last couple of months I've been the chairperson of the Street Surfer Bus Committee. What a really awesome privilege that is. 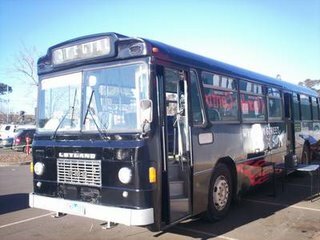 The Street Surfer is a community bus in the western suburbs of Melbourne that has been going out into the streets mainly fridays and saturdays. It has been amazing that in the last few months many new Christian volunteers from local churches have been starting to help on the bus. New creative initiatives like these need to be thought of. Get a pad and pen and brainstorm some ideas, then work really hard and put some legs on the idea! (Don't do what I sometimes do... never give up too early if you believe you need to develop a new idea). I know many Christians that are passionate about the Holy Spirit. They are passionate to see him move in power in their lives and the life of their churches and communities. 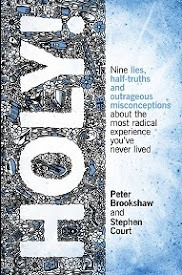 I know of many followers who are sold out to exploring philosophical ideas, questioning in depth theology and are strong believers in improving/sustaining God's creation. Other Christians have a deep passion for reaching the lost; those that don't know Jesus. They are sold out to growing his Kingdom and believe that if you don't believe in Jesus you won't get into heaven. So which is better? Which beliefs are valid and are any invalid? Father, Son and Holy Spirit. We need to be radically balanced in our view of the Trinity. One God: three persons of equal power and significance. All the above views are valid and need to be integrated forming a deep trinitarian view of God. This summer it's good to be three.